The Natural Heritage Protection Fund was established in 2000 in compliance with article 17 of the UNESCO Convention concerning the Protection of the World Cultural and Natural Heritage. The Fund's priority is the overall support of World Heritage sites, as well as obtaining this status for new natural sites both in Russia and the CIS. 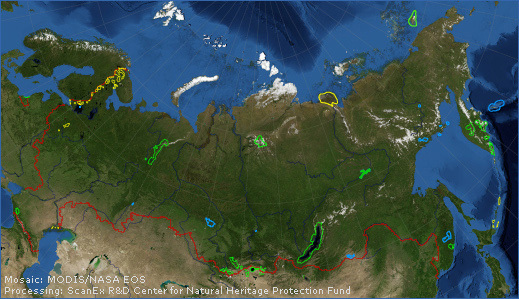 The Fund promotes technical and financial assistance to World Heritage sites, including the enhancement of heritage sites in compliance with the Convention and the development of management plans, conducts seminars for the employees, promotes Convention and World Heritage sites in Russia and abroad, and assists the development of alternative nature management practices. The Fund coordinates interaction of World Heritage sites, regional non-governmental and scientific organizations with the UNESCO World Heritage Centre, and other international and Russian environmental, scientific and financial organizations working in the framework of the Convention. Ecological education; dissemination of ecological knowledge; spreading of ecological information.